It’s hardly a surprise if we say that the diamond is the hardest material we know. But we should probably also say that you can easily break a diamond with things you have lying around the house. But how can that be? It actually comes down to the definition of hardness. To say something is “hard” is not the same as saying it is “strong”. As an example, you can scratch steel with a diamond, but you can easily shatter a diamond with a hammer. The diamond is hard, the hammer is strong. Whether something is hard or strong depends on its internal structure. A diamond is made entirely of carbon atoms which are joined in a lattice-type structure. Each atom is a set distance from the next, and moving two of them closer or further away requires sudden and extreme force. This makes the diamond incredibly hard and is why it is able to scratch any other material. Steel, on the other hand, has an ionic structure. In simple terms, it is similar to that of a handful of raisins in a jar of honey. You can move any of the ions about easily, and any force is easily absorbed. Hit steel with a hammer of any material and it just absorbs the blow by shifting the ions sideways instead of shattering. This makes steel incredibly strong and infinitely workable. Diamonds, because of their lack of flexibility in the structure, are not actually very strong at all. You might be wondering how any diamond ever gets to its finished state if nothing else can even scratch it. The first stage of processing a rough diamond is to separate it into the maximum available number of stones. This is done by taking advantage of cleave lines within each rough diamond. A cleave line – a tetrahedral plane, to give it its technical name – is the weak spot in a diamond. As a simple example, wood has a single grain. Drive a chisel into a piece of wood along the grain, and the piece will split easily. Try it across the grain and it will merely make a cut the length of the chisel blade. With a sharp blow of a special metal cleaving tool, the rough diamond will split along these predictable cleave lines. The drawback here is that, where wood has just a single cleave line in the grain, a rough diamond has 4 cleave lines, each of which can affect how many single polished stones the rough diamond can produce. In some instances, examination of a rough diamond can take weeks or months before choosing a particular cleave line. This is especially true for exceptional diamonds, such as those commissioned for a specific purpose. These weaknesses, whilst reasonably easy to exploit in large, rough stones, are still present in polished diamonds. Because of the structure of the diamond mentioned above, there is always a risk of impact chipping the stone. It doesn’t even need to be an especially high impact or even on an especially hard surface. Just clipping the diamond at exactly the right angle could spit it in two. 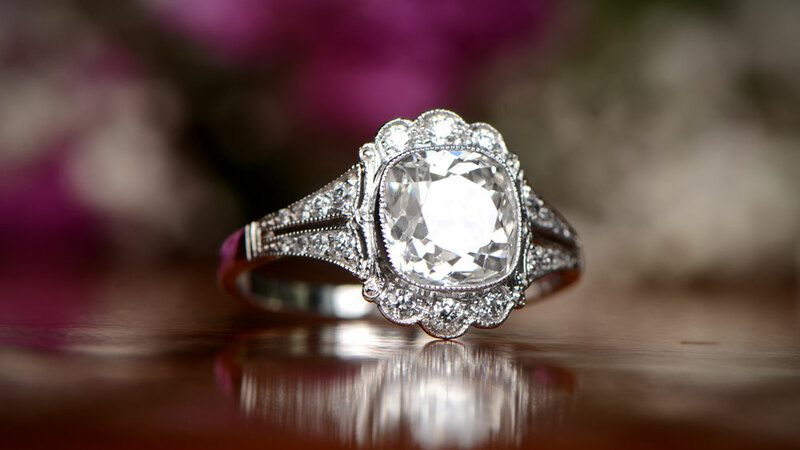 It’s not uncommon for engagement rings to suddenly be missing a piece out of the crown or girdle of a diamond. The type of cut can expose some parts of the stone more than others, but all are potentially at risk. If this sounds like it makes diamonds too much to worry about, it isn’t really. Luck – or bad luck, at least – and a little common sense are what will determine whether your diamond survives for a lifetime or not. As long as you are aware of your ring, you don’t need to be overly paranoid about it. If you do get that way, the enjoyment of your ring will just disappear. In the same way, you wouldn’t constantly do things which would damage an expensive watch, just take the same precautions with your engagement ring. You don’t need to always take it off, just as you wouldn’t your watch. Just be mindful is all we’re advising. And If You Do Chip Your Diamond? The sad fact is that chipped or broken diamonds can’t be repaired. You have the choice of whether to live with a damaged stone or replace it. It’s also unlikely that your chipped diamond will have much of a trade-in value. 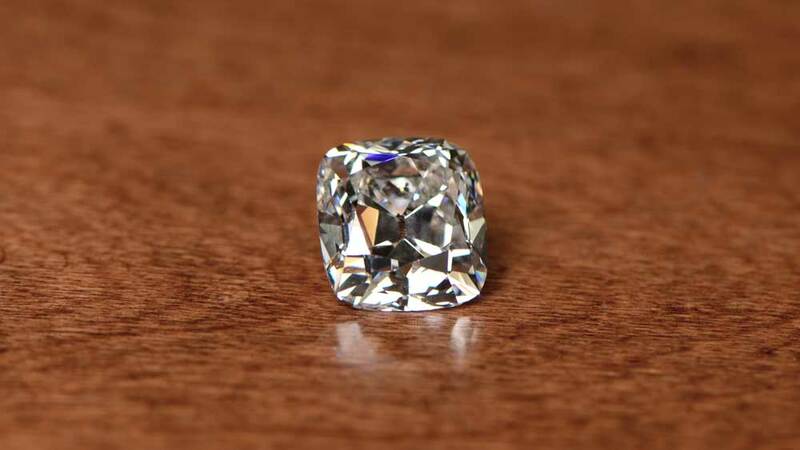 Depending on the size of the stone and the location of the chip, it may be possible that the diamond can be re-cut. However, unless it is a pretty large diamond and pretty superficial damage, you would be lucky to realize more than $100 for any chipped diamond. But you have your ring insured, right? And you also made sure to include loss and damage as part of the policy? In that case, you can relax a little more. You’ll never replace the sentimental value, of course, but you should get a new diamond out of it. Just know that an insurer will look closely at any claim to see if you were negligent or not. If you were mountain climbing when you chipped your ring, for example, you should probably forget about your claim. But, if it happened in regular everyday life, you should be okay. Your diamond may not be as indestructible as you thought, but that doesn’t mean you shouldn’t enjoy it all the same.